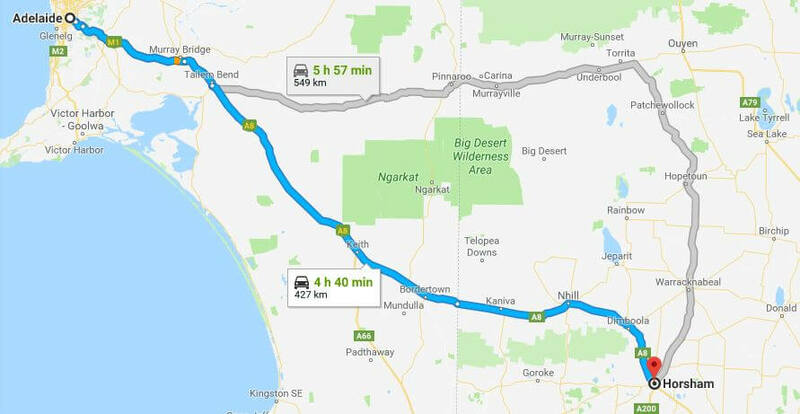 The road trip directly from Melbourne to Adelaide can easily be driven in a day, though breaking it up into two days or even longer is a good idea as there is plenty to see along the way. 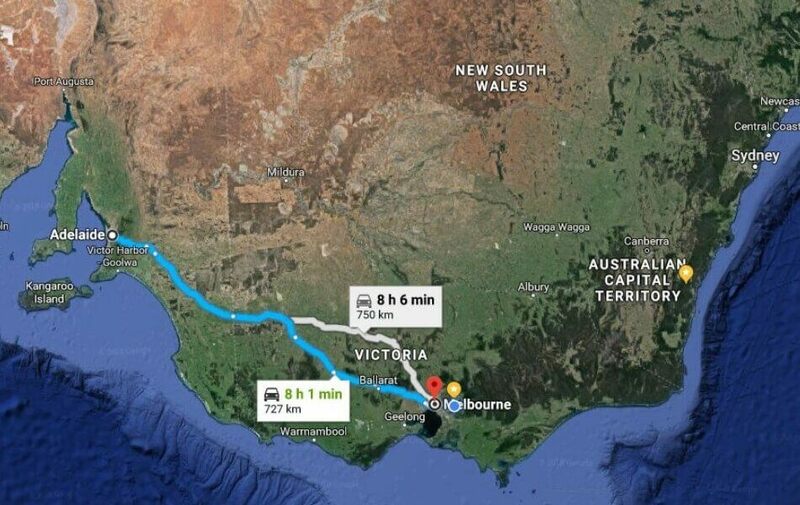 Diverting down along the Great Ocean Road is definitely worth considering, it would take about 12 hours and cover just under 1000kms although a side trip up through the Grampian Mountains could be thrown in too. 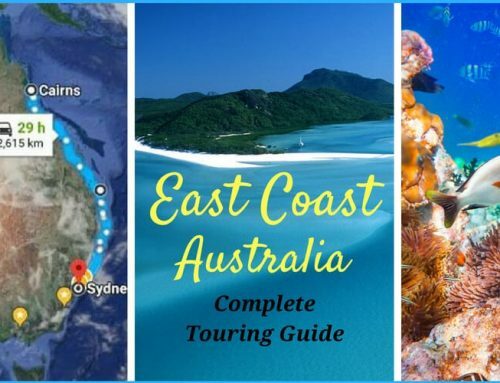 Driving from Sydney to Melbourne via the coast or over the mountains is a great road trip to add to an adventure too. Kids will love to spend time at Kryal Castle, lots of fun to be had watching jousting and joining in with some wizardry, they have some funky accommodation too. Grampian Mountains National Park – Lots of fabulous walks and waterfalls. A couple of nights here would be ideal to explore the area. The Giant Koala – A little bit ‘Kitsch’? Perhaps, but it is a good laugh and a welcome stop, especially for kids. 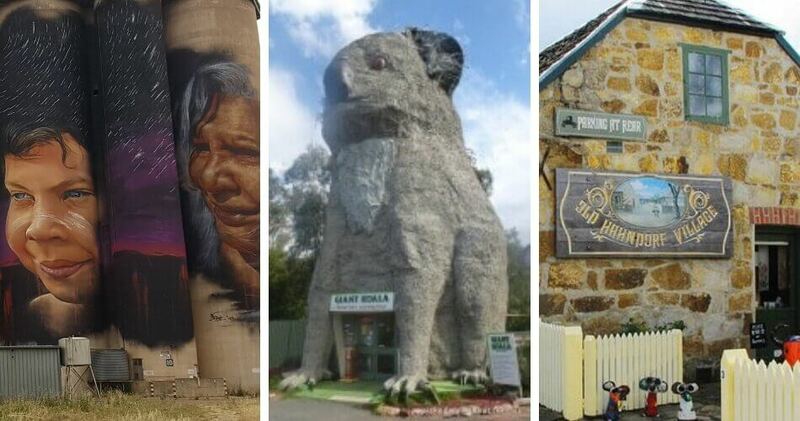 Located midway between Stawell and Horsham in the tiny community of Dadswell Bridge, the giant koala was built in 1988 by a sculptor named Ben van Zetten who was commissioned to design and construct it. The Koala dominates the car park and is 14 m high, weighs about 12 tonnes. Horsham has a good range of accommodation options and is a pretty country town. Painted Silo Trail – This drive would require an extra day as it is not on the most direct route. It is well worth including if you have time though. A drive along the Silo Trail and up to Lake Tyrrell is a great road trip. Hahndorf – The oldest surviving German settlement in Australia, Hahndorf is certainly worth stopping to visit. Known as the City of Churches, Adelaide has lovely beaches and the nearby Adelaide Hills is a pretty drive. 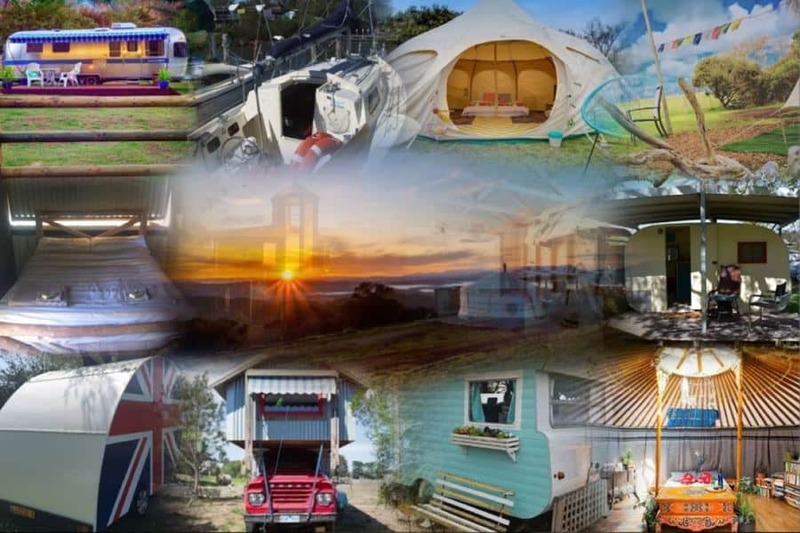 The city has plenty of great accommodation choices and is large enough to be a city, but still has the feel of a large country town in some ways. Another fabulous place to visit when exploring South Australia is Kangaroo Island and a particularly lovely accommodation option on the island is Lathami Lodge, with stunning views it is ideal for anyone including families. 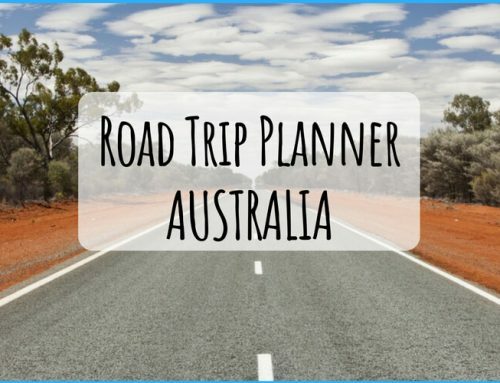 Driving north of Adelaide the trip to the Flinders Ranges or further afield to Uluru/Ayers Rock are both ‘must-do’ Australian Road Trips. Find the best vehicle hire deals and useful information on car rental excess insurance here.